My husband and I are brand-new, first-time parents to a baby boy named, Dallas James. We call him the boy with two first names. He is sweet, full of life and everything amazingly good. He is happy, healthy and hungry and as you will see; this sweet baby boy's nursery is an infant's playground! See the 5 Top Rated Baby Play Yards according to moms. And playgrounds need storage! 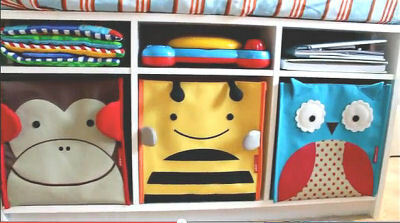 The playful monkey, bumble bee and owl baby storage bins collectively reflect the nursery's color scheme as well as the animal theme. 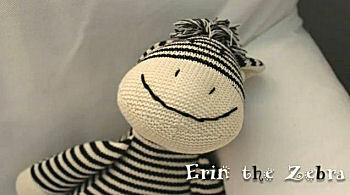 Go here to get more items to decorate your baby's personal playground. As soon as we learned we were pregnant we began to start planning how to decorate the baby's nursery. We scoured every corner of the internet searching for inspiration and decorating ideas and brainstorming potential baby nursery themes and design concepts. 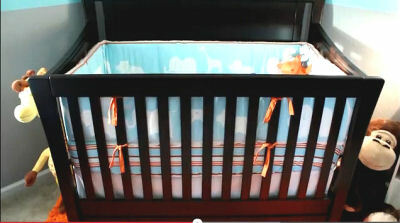 The baby's crib set helped to define the color scheme as well as the theme of the nursery. 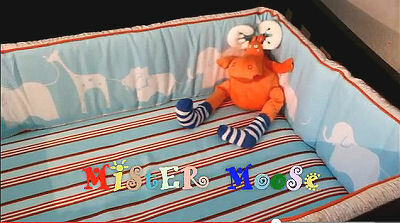 Mr. Moose found a fun place to lounge, in the corner of the baby's crib with the elephants, the giraffe and the other animals. We had a spare room which had been laid claim to by young family members whenever they came to visit. In an effort to let them stretch their artistic legs and make the room their own. We put permanent makers in their hands and encouraged them to use the white walls as their own personal canvas. And they happily drew, colored and wrote all over everywhere. By the time the ink had dried and the scribbling had stopped their masterpiece was finally revealed in all its glory and splendor; the room was a total crime scene. But the kids loved it and that's what counted. They enjoyed the freedom of being able to create colorful mayhem without the fear of our wrath. Once we started decorating the nursery it would take coats and coats of primer, and then more coats of primer to cover their artwork up. We knew we wanted decor that was calm, soothing yet something bubbling with color and fun with some modern elements, just a few touches. Something playful, functional and interesting to the eyes of a babe. We wanted a kid's space, an infant's playground, somewhere cool to be at 3am when we're changing diapers. We would eventually decide on a jungle safari theme; well, not exactly. We mostly focused on zebras, elephants and giraffes which took us back to the WorlWide Web to hunt for accessories, toys and furniture that fit with the theme and our nursery ideas. We really liked the idea of wooden push/pull toys and tried to incorporate those into the design which proved most difficult. But we managed to track some down offered by Melissa and Doug and also bought some off of Etsy. 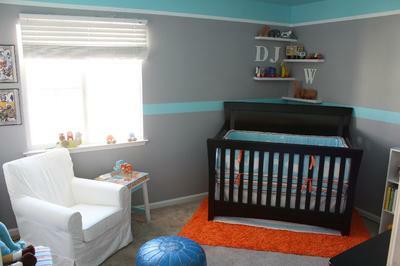 There are many manufacturers represented in our baby boy's nursery from Serena and Lily to Simmons. We found items at Target, Cost Plus and Wal-Mart. From Babies R Us to eBay, we made an effort to choose particular pieces that complemented each other best. We made the end table from a $12 side table that we found at Wal-Mart. It was sanded, primed and painted and then we glued ABC blocks to the top and had a piece of glass cut to be secured on top of that. We call it our Alphabet Table. We hope that visitors to Unique Baby Gear Ideas have enjoyed their tour of our son's room and that you have seen something that you would like to adapt for your own space. I believe that the nursery should be a place where a child can grow, learn and build a sense of confidence. Nurseries that are too fancy and crowded are not the best place for a little one to practice and start to gain independence, in my opinion. Join in and write your own page! It's easy to do. How? Simply click here to return to BABY BOY NURSERY PICS.